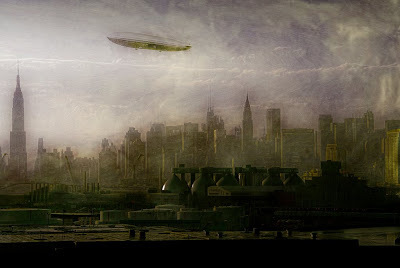 'I IMAGINED NEW WORLD' by SkyShaper, more info here. 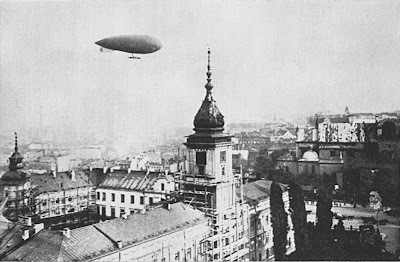 Polish Zeppelin 'Lech' over Warsaw in 1926. 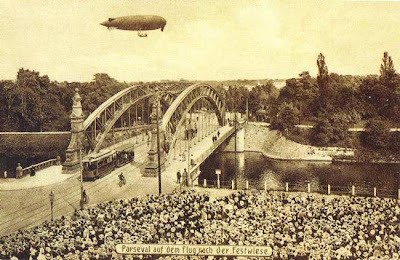 'August von Parseval' over Wrocław. 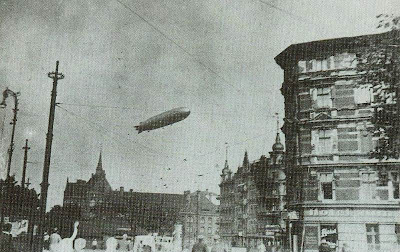 Graf Zeppelin over Powstańców Śląskich square.